Excellent location close to Civic Hall where my daughters graduation was as well as many bars and restaurants. Easy to find. Great to have onsite parking. Everything we needed and more as we were only there for the one night. No hassle check in and out. Recommended place if you are visiting Sheffield, staff were friendly. The penthouse wasn't ready as we arrived very early, however they offered to store the luggage in the office which was very appropriated. 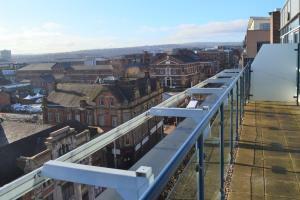 Perfect location, fully equipped kitchen, clean bedding, stunning view from the balcony. Easy check in and out processes. It will be one of our options as a good place at Sheffield. Spacious, clean with all we needed. Super view and balcony. Would be very happy to go again. Very pleasant welcome by staff, who was on the spot to access the parking. All went smoothly. The location was brilliant. Literally only a couple of hundred yards from where we had dinner, where we had drinks and the city hall venue we'd travelled to Sheffield for. Plenty nightlife and great views from the balcony. I liked the fact there was alot and i mean alot of food places to eat around the area there's lots to do. 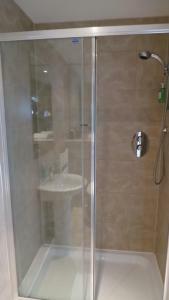 Very good location and easy Check in. Safe and quiet apartment. Easy check-in, very nice apartment with great views, location was perfect and Liam (the check-in host) was very helpful and gave us a warm welcome. Finally the security of the access to the apartment was very good. 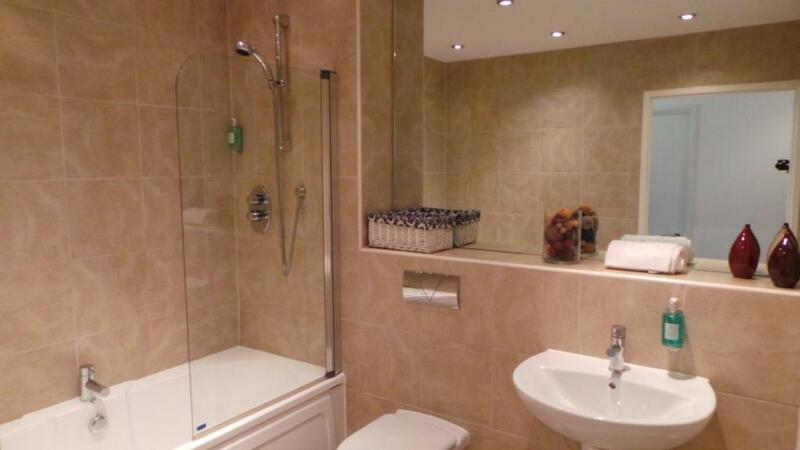 Lock in a great price for City Crash Pad Serviced Apartments - West Street – rated 8.5 by recent guests! City Crash Pad Serviced Apartments - West Street offer smart apartments in the center of Sheffield and next to City Hall tram stop. These modern properties include free WiFi. Each apartment has smart design and includes a lounge with a TV. The fully equipped kitchen comes with an oven, microwave, fridge, toaster and a washing machine. Park Square is just over a mile from the property and shops can be found nearby. 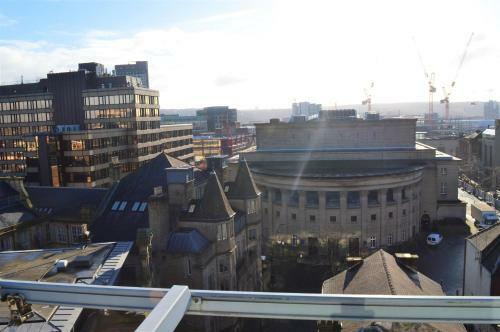 Sheffield Victoria Station is a 20-minute walk away. 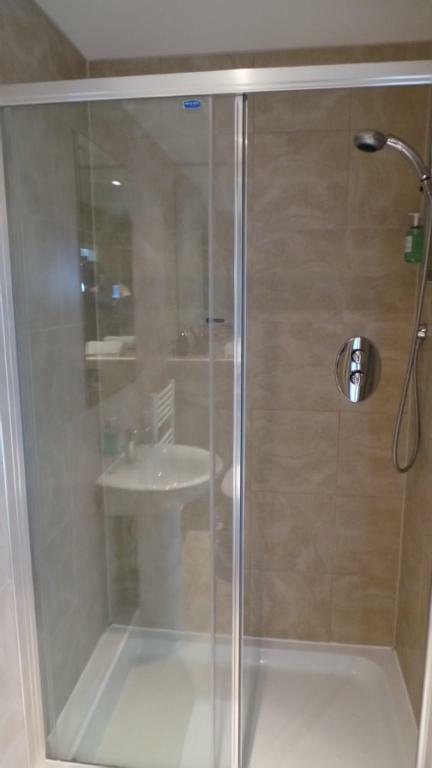 뀐 Located in the real heart of Sheffield, this property has an excellent location score of 8.9! 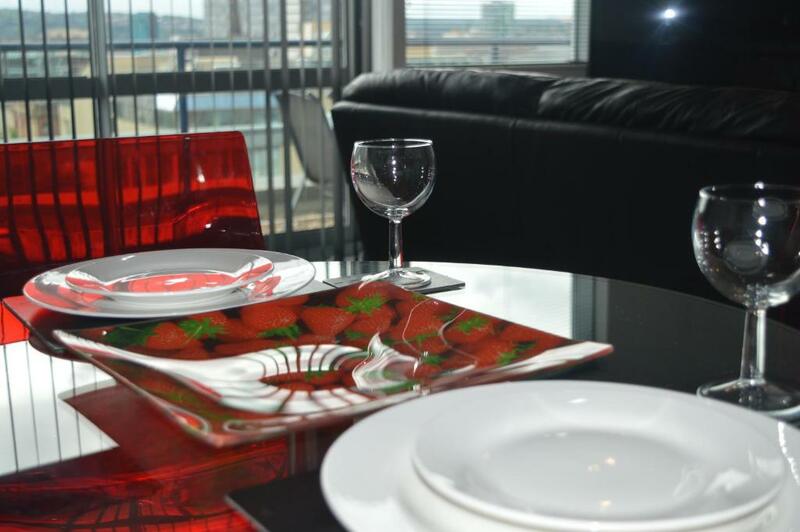 When would you like to stay at City Crash Pad Serviced Apartments - West Street? With a smart design, this apartment includes a lounge with a TV. The fully equipped kitchen comes with an oven, microwave, fridge, toaster and a washing machine. Opening onto a terrace with city views, this smart apartment has a lounge with a TV. The fully equipped kitchen comes with an oven, microwave, fridge, toaster and a washing machine. This is a block based at the bottom end of West Street behind the city hall. 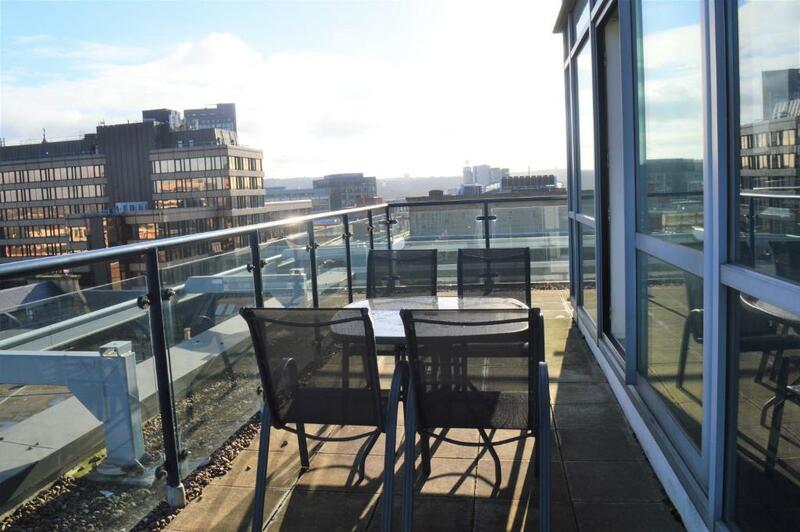 The building has 6 Floors with our penthouse collection being across the whole of the top floor and the one bedroom apartments being across the floors below. The building has a lift and a underground car park. We have been operating now for over 12 years and provide serviced apartments to varies companies across Sheffield as well as to families visiting our city throughout the year. The team are very friendly and will make sue you have everything you need for your stay and happy to advise on places to eat and drink around your location of stay. Opposite the building is Leopold Square which has varies eateries as well as a short walk to the centre where there is various shops, restaurants and bars. The building had good access links to the transport system allowing you to easily get around the City especially to Meadowhall. 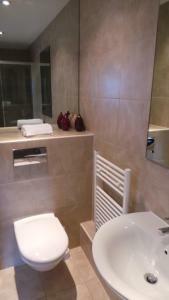 House Rules City Crash Pad Serviced Apartments - West Street takes special requests – add in the next step! Debit card City Crash Pad Serviced Apartments - West Street accepts these cards and reserves the right to temporarily hold an amount prior to arrival. City Crash Pad Serviced Apartments - West Street accepts these cards and reserves the right to temporarily hold an amount prior to arrival. Please note that the card provided for payment will be required upon check-in, along with an official form of photographic ID (driving license or passport). The property reserves the right to refuse the booking upon failure to provide this documentation and the reservation will be canceled without refund. Some reservations may require a pre-authorization security deposit upon check-in. The cost may vary throughout the year and is between GBP 250 and GBP 800. This is returned upon check-out. 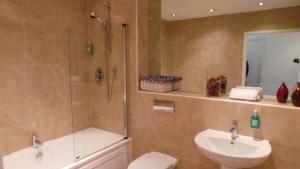 The property will inform guests prior to arrival regarding whether this is required. Please inform City Crash Pad Serviced Apartments - West Street of your expected arrival time in advance. You can use the Special Requests box when booking, or contact the property directly using the contact details in your confirmation. Sink drain leaked on floor for 1.5 of weeks we were there despite being reported 2x. WiFi was out for last 4-5 days of visit. Elevator to 6th floor failed once. Entrance and hallway lighting failed over the weekend. Home less folks soiled the entrance to building last weekend. Great location. We were upgraded to the penthouse suite and so had a larger apartment than expected. It was clean and well furnished. Information leaflet had pages missing, so couldn’t empty bins. Door to terrace from living room was locked shut with a piece of metal floating around inside the mechanism jamming it. (Potential fire risk if theres a fire in the hall or bedroom as living room would be only other escape route onto terraced roof) The suprise pre authorisation deposit that wasnt on the booking confirmation total Which still hasn't been refunded even though no reason to not give it back. Have tried to contact the office but line was cut off upon answeing and havent been able to get past holding music since. Staff seem unresponsive via whatsapp when trying to resolve too. Was told deposit would be released upon check out which was 24th december (was assured it would still be released even though it was christmas eve) Contacted office 24th and was shut contacted the memeber of staff who checked us in and no reply.. Contacted again today 27th december and still no reply or acknowledgement.. Some clarity and customer focused staff would help make a better experience.. Perfect! Comfortable clean and spacious. We couldn't figure out how to work the heater in the bedroom. I managed to get the radiator on for a bit, but once that turned off, we were stuck. Bed was a little firm in my opinion but that's personal taste. The fact the heater didn't work in living room after telling them it's not working..also beds were terrible. Excellent place with a spectacular view. Liam who drops of the key extra kind and helpful. Lost my way a little on the way there and he even offered to come to me and show me the way! Will definitely be staying again. More Towels maybe but this was not a big issue.